My question here is very narrow and specific. I do not understand why the highlighted sentence below (from p. 172) is true. Brandis seems to be claiming that the last 5 units of Product Y cannot possibly cost 5 units of capital and 15 units of labor. But I do not understand why this is not possible. Browse other questions tagged international-trade cost opportunity-cost or ask your own question. How is Comparative Advantage a superset of Absolute Advantage? 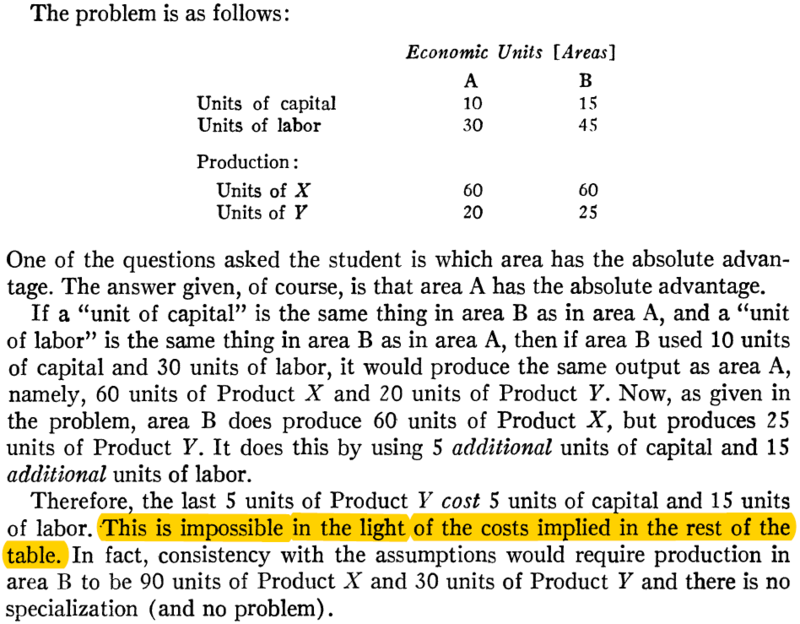 How to determine the marginal product for the following question? What are some critiques to the principle of comparative advantage?